Apple opens new stores all the time, but this one, which opened Saturday in Brussels, is special: It was designed by Sir Jony Ive himself. We knew an Ive-ified store was coming. 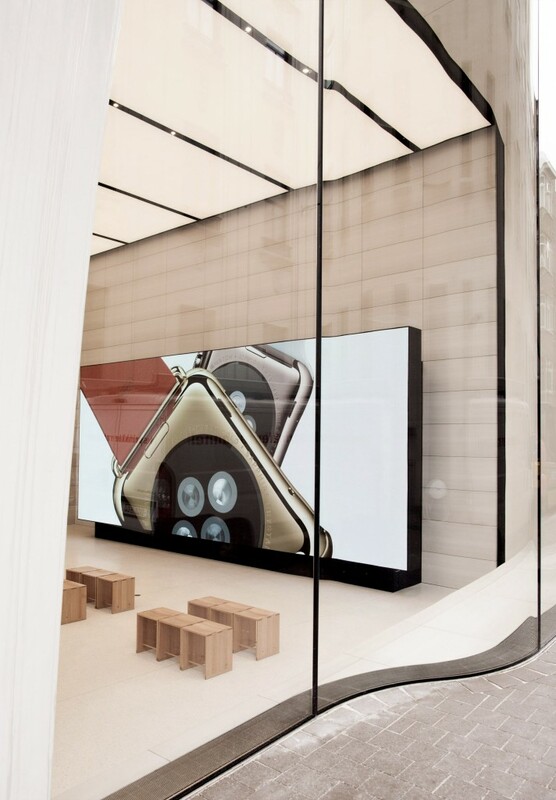 A profile published February in The New Yorker noted that Ive had “begun to work with [Angela] Ahrendts, Apple’s senior vice-president of retail, on a redesign—as yet unannounced—of the Apple Stores. 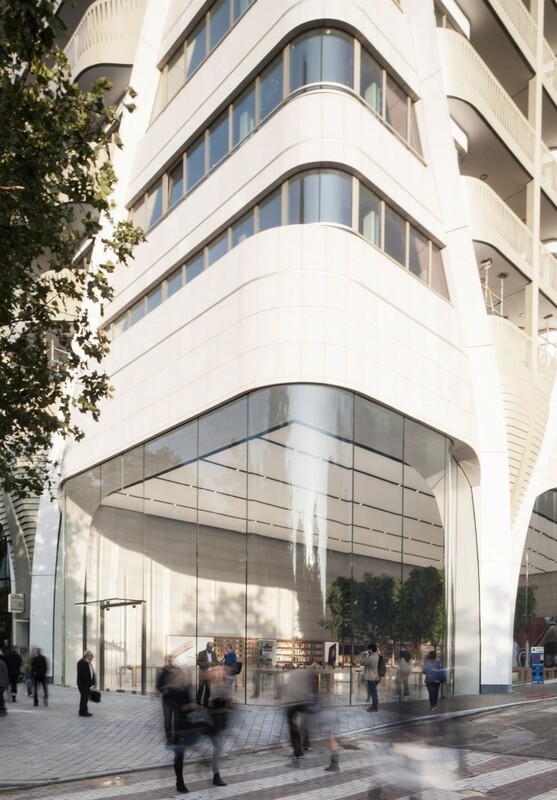 ”A few months later, news of Ive’s promotion to chief design officer indicated he would play a larger role in the design of Apple’s retail spaces. What we didn’t know (but probably should have predicted) was that Ive’s first store would boast some of the most impressive work in glass manufacturing to date. 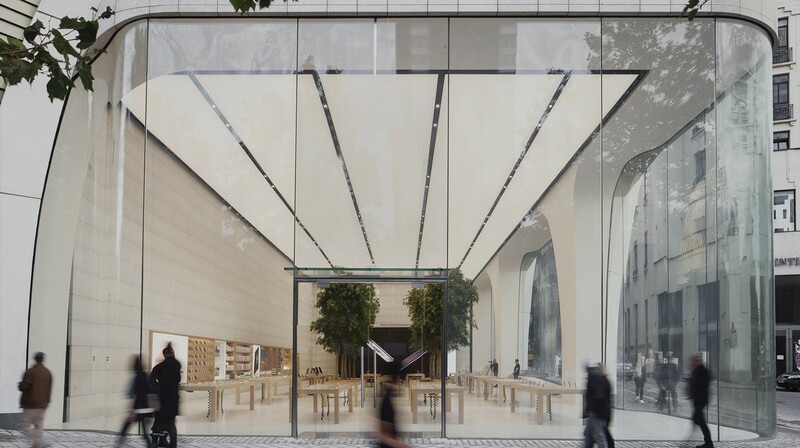 The store walls are made of 26-feet tall, floor-to-ceiling glass panels, a few of which are even curved, to round out the building’s corners. Apple has been pushing the limits on what it can construct with glass for a while. 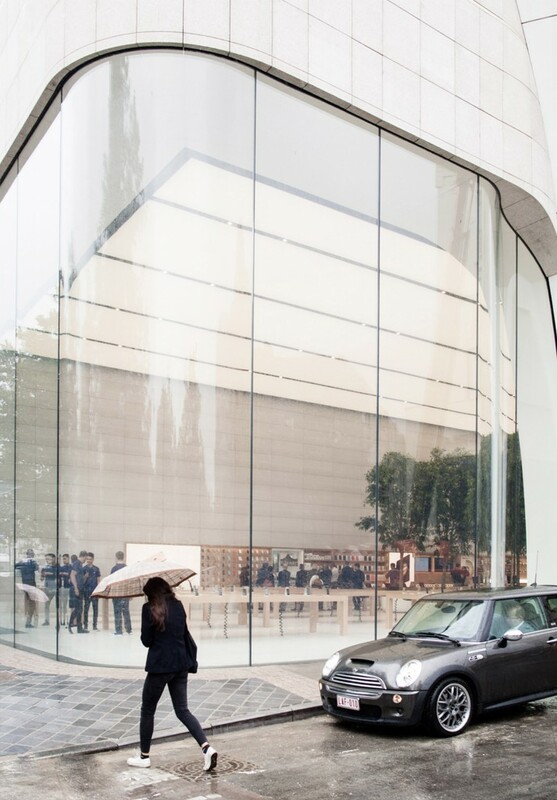 In terms of engineering, this is a leap ahead of what the company did for its store in Hangzhou, China, where the 50-feet-high panels of glass already represented some serious sweat. It’s also a small hint of what’s to come at Apple’s new donut-shaped Cupertino headquarters, which will be made almost entirel of concave glass panels—the ultimate expression of these new manufacturing techniques.